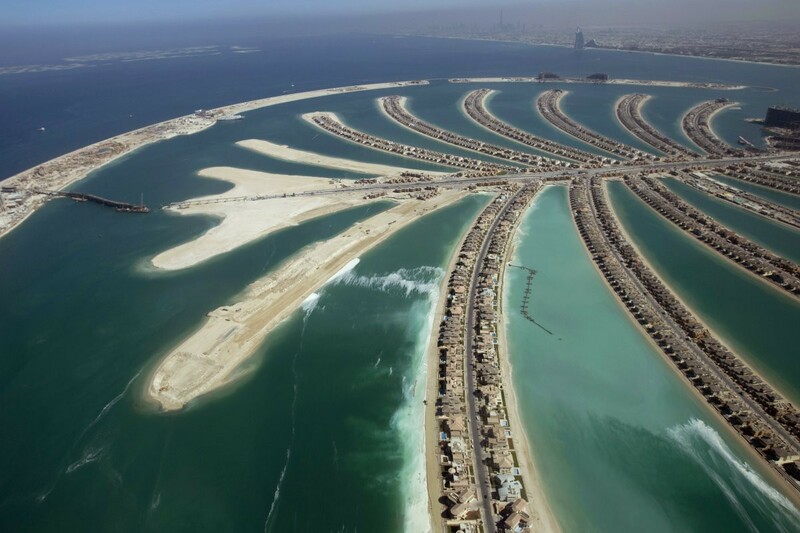 Dubai - one of the most stunning cities in the world. 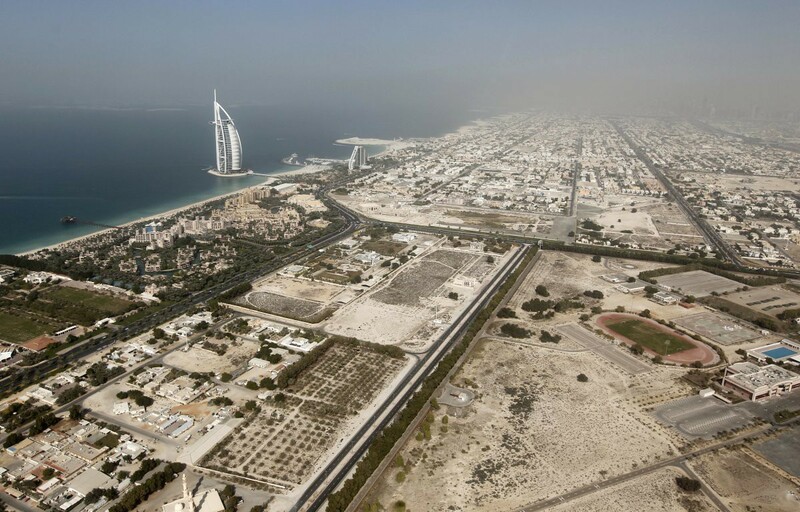 This chic metropolis and largest city of the United Arab Emirates, which are the highest and most luxurious buildings in the world. 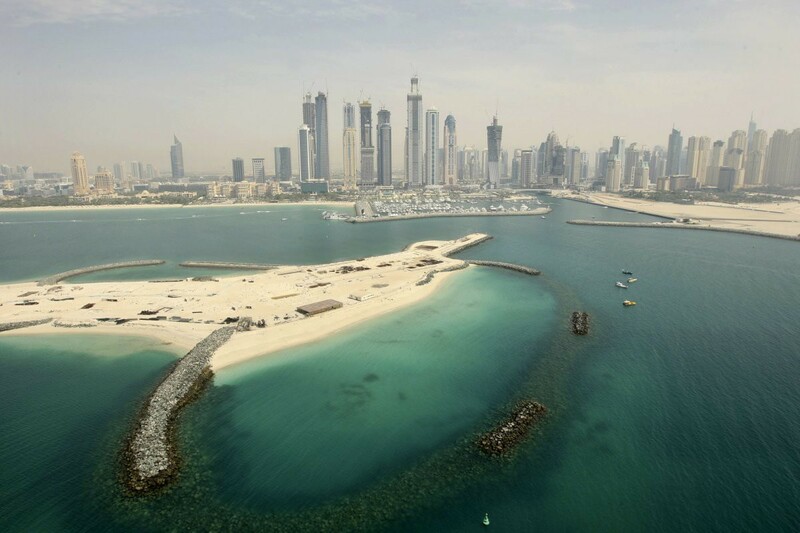 Gorgeous photographs taken from the air show a stunning architectural achievements of the city. 1. 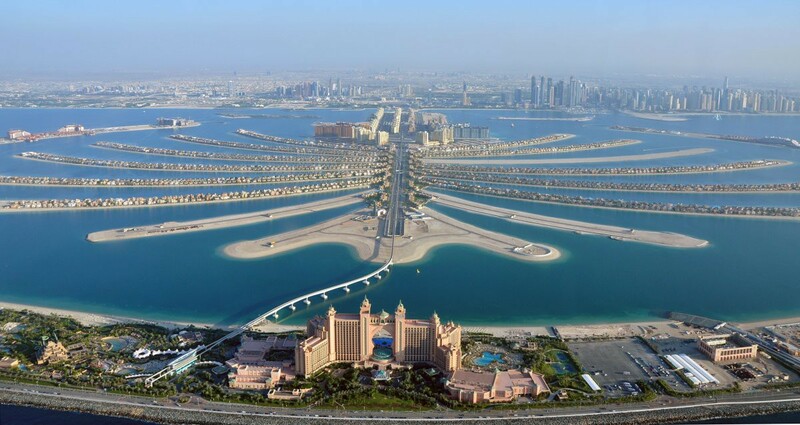 Hotel "Atlantis" on the artificial island of Palm Jumeirah and stretching into the fog of the urban landscape. 2. 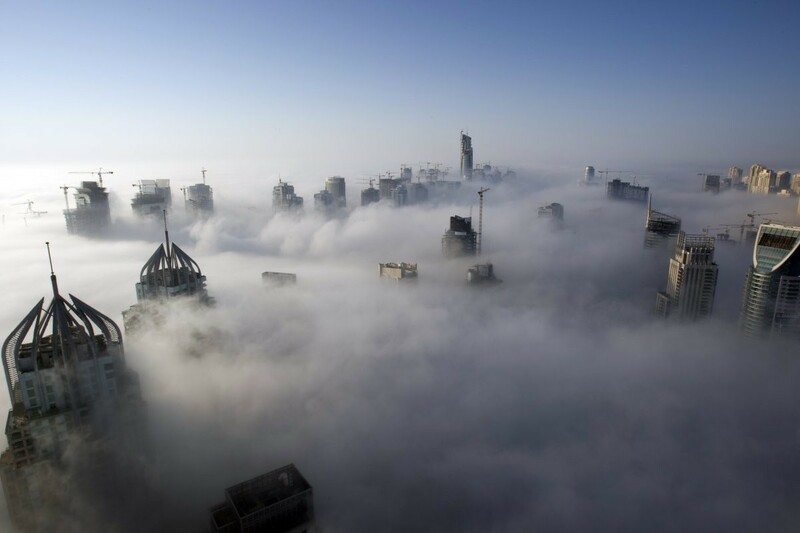 The tops of the skyscrapers of Dubai. 3. 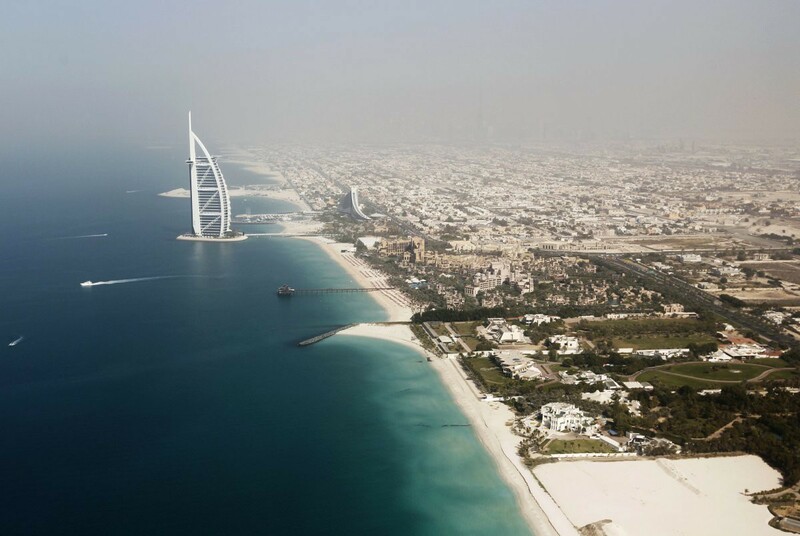 Burj Al Arab - the fourth among the tallest hotels in the world, dominates the horizon. 4. Construction of the hotel in the form of a sail completed in 1999. 5. 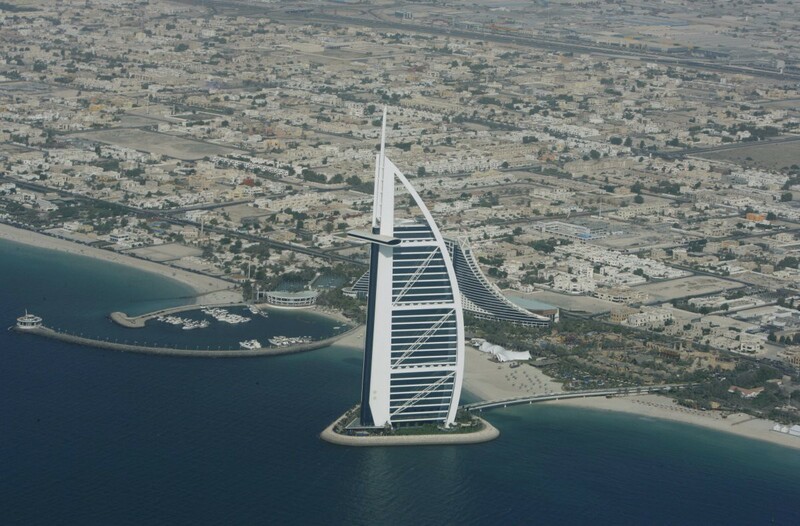 Burj Al Arab was called "the most luxurious hotel in the world". 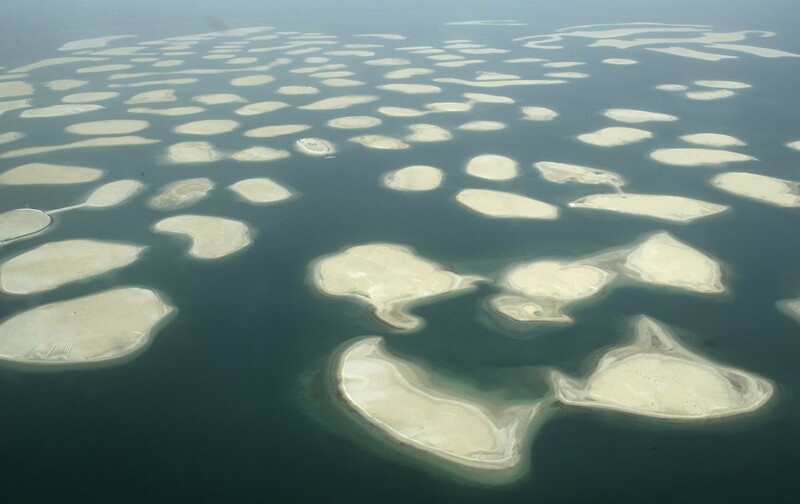 It stands on an artificial island in the Persian Gulf 280 meters from the beach and casts a shadow on the nearest beach. 6. One of the main features of the hotel - a helipad. 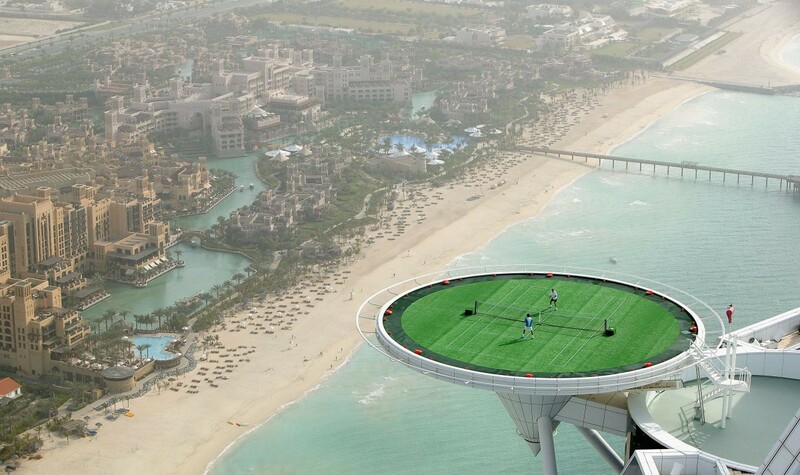 It easily turns into a grassy tennis court at an altitude of 198 meters. This is the vysokoraspolozhenny tennis court in the world. 7. 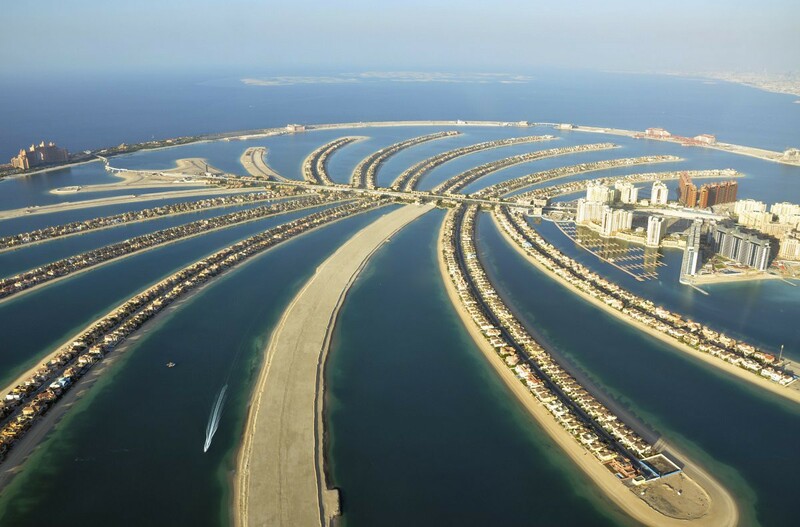 The success of the hotel Burj Al Arab has served as inspiration for one of the most ambitious construction projects: the Palm Islands. 9. The Palm Jumeirah, the smallest of the artificial island project, which in 2007 welcomed its first tenants. 10. At its construction took a few years, 12 million. Pounds of rock and 53 million. Pounds of sand. 11. 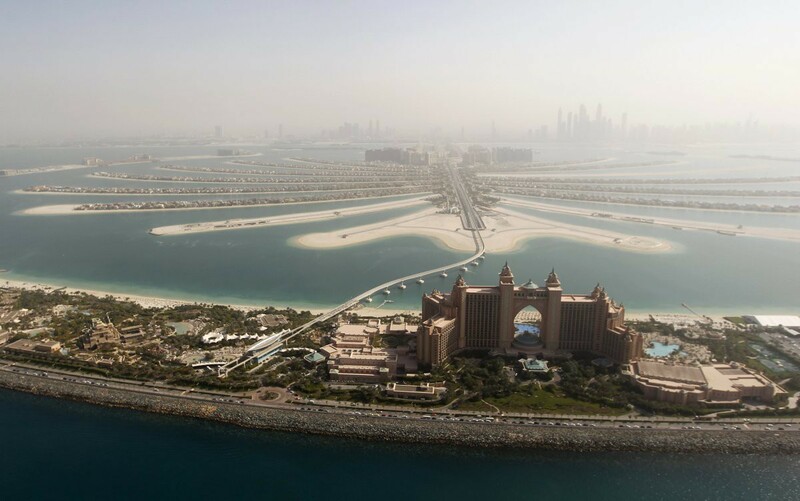 View of the hotel "Atlantis" and the Palm Jumeirah. 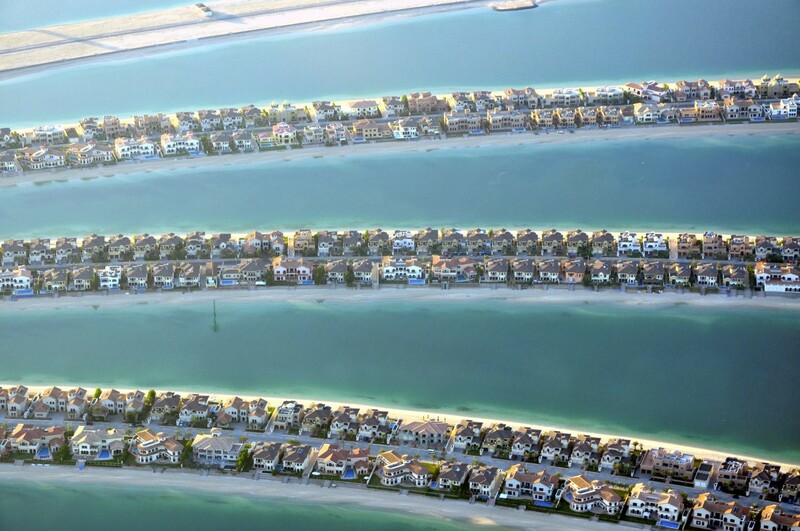 Palm Islands can be seen from space. 12. Near artificial archipelago "Peace» (The World) and World Islands. On top of their overall shape resembles Earth's continents or world map. 13. 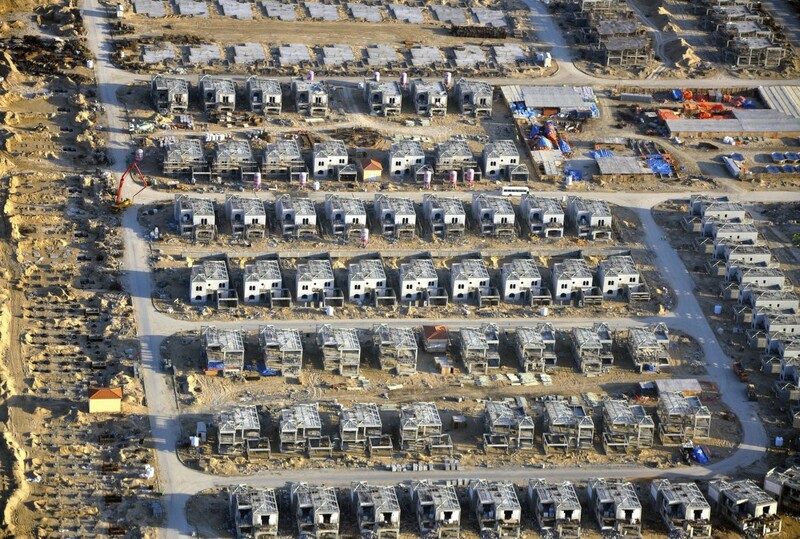 Construction resumed in 2014 after a four-year freeze due to the global financial crisis. It will accommodate residential, commercial and recreational areas. 14. 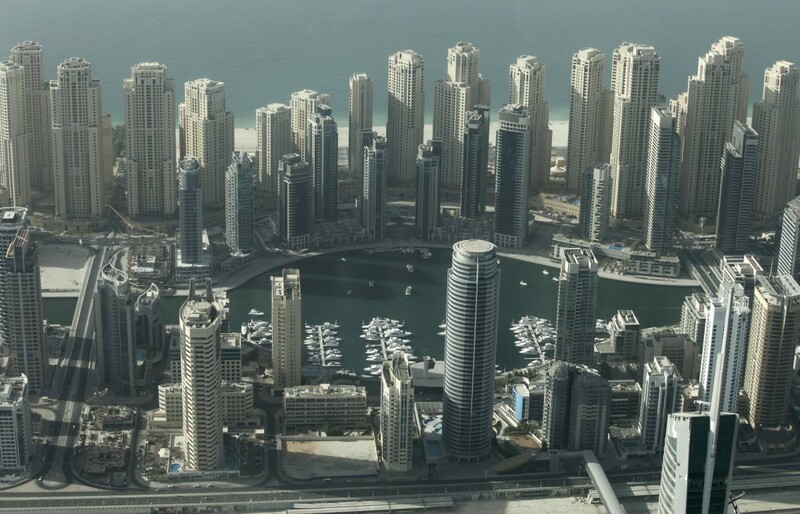 Dubai Marina - the area around the bay and the trendy marina. 15. 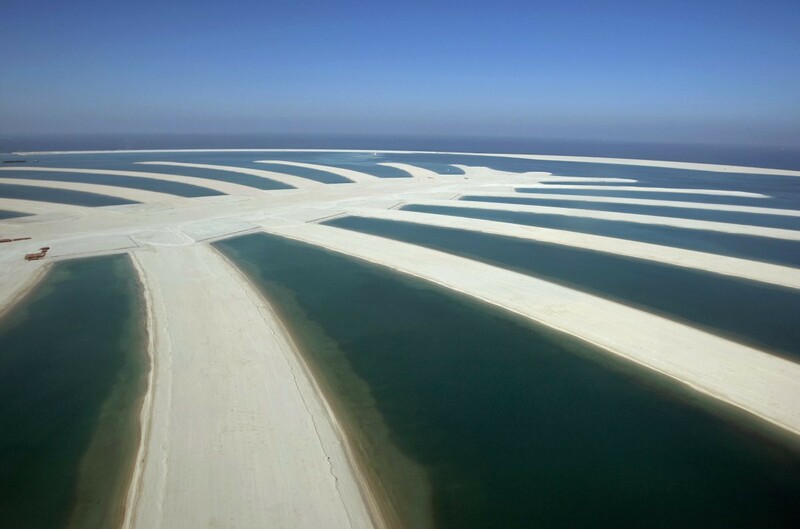 Artificial channel length of over three kilometers is filled with water from the Persian Gulf. 16. 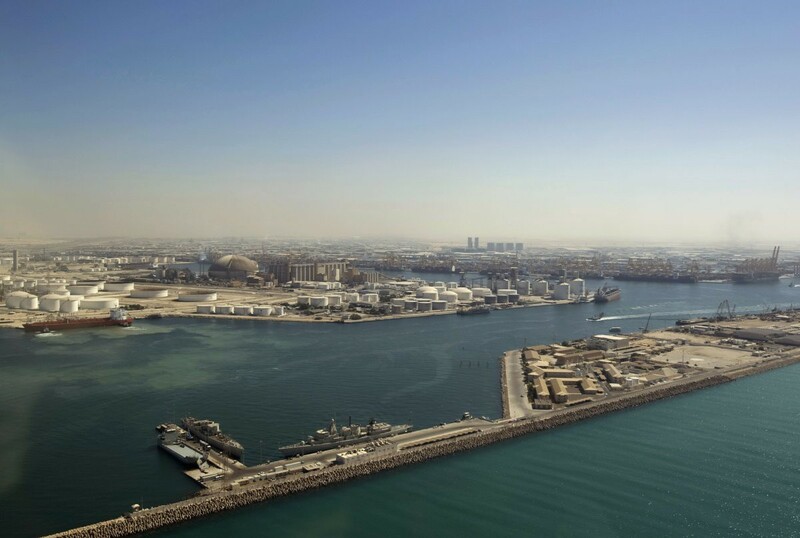 Jebel Ali - the world's largest artificial deep-water harbor. 17. 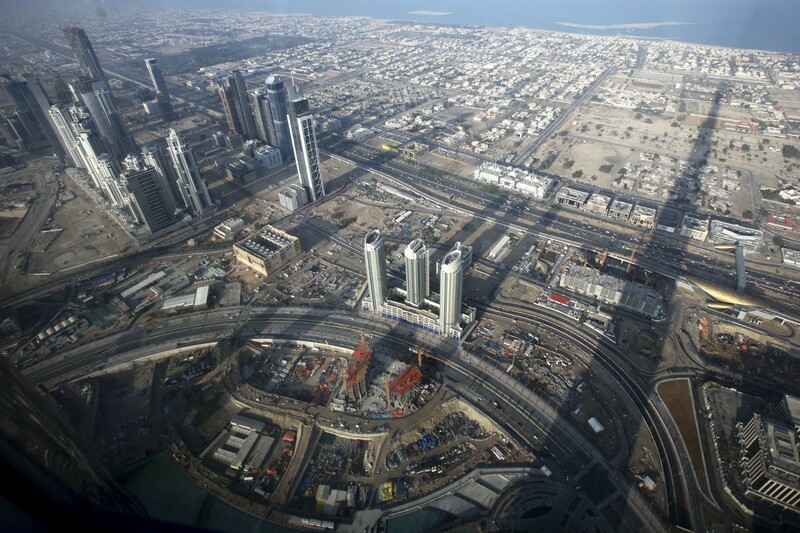 Jumeirah Beach Residence (Jumeirah Beach Residence) - the world's largest construction project in one place. 18. Jumeirah Beach Residence opened in 2008. 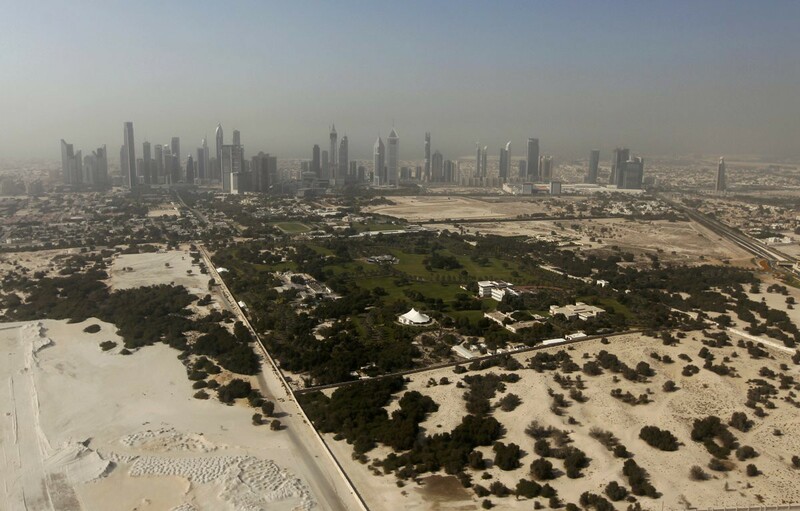 Today, the area includes 35 residential towers and five hotels. 19. 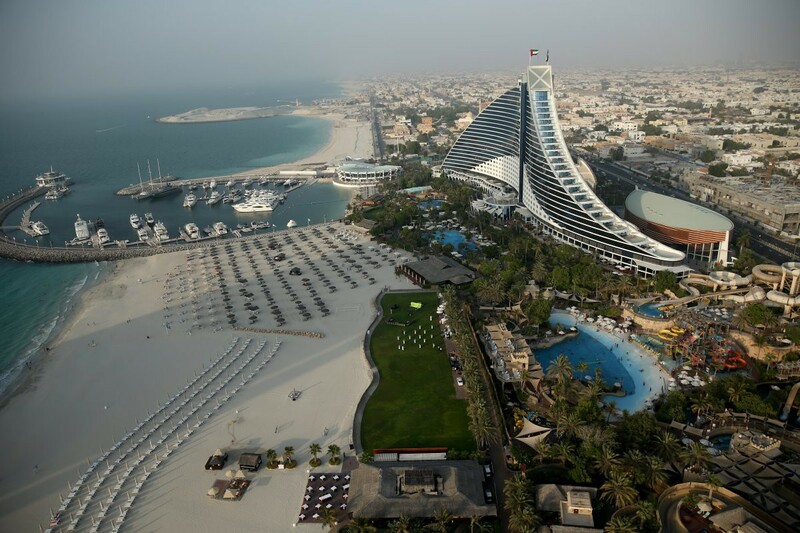 Jumeirah Beach Hotel has 598 rooms and 20 restaurants / bars, plus a 364,000-square-foot beach. 20. 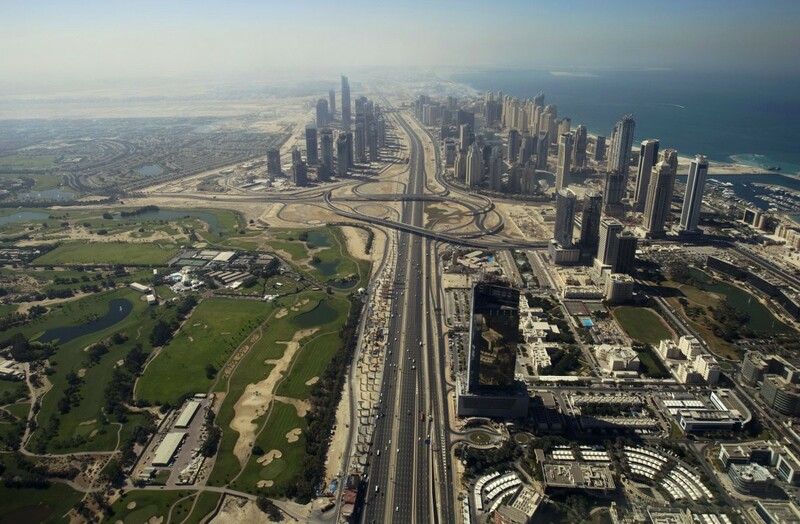 Sheikh Zayed Highway - the main street of the city and extent of Dubai. 21. 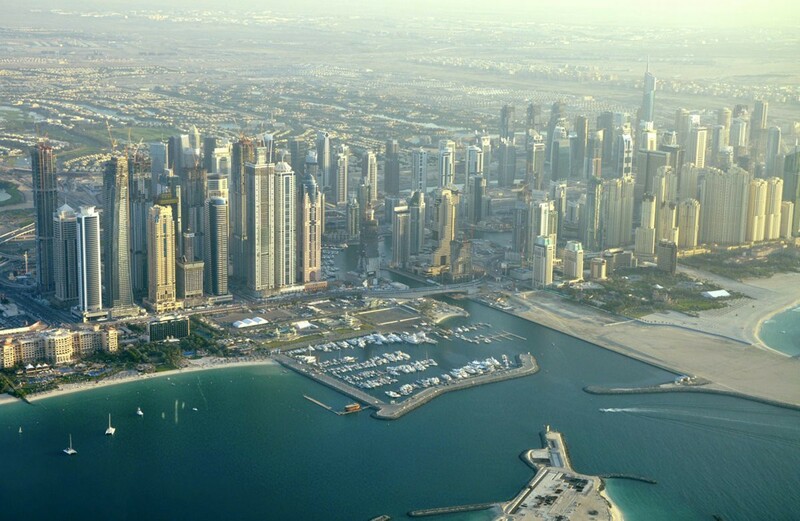 The main artery of the city runs parallel to the coast, connecting the Palm Islands and Dubai Marina. 22. 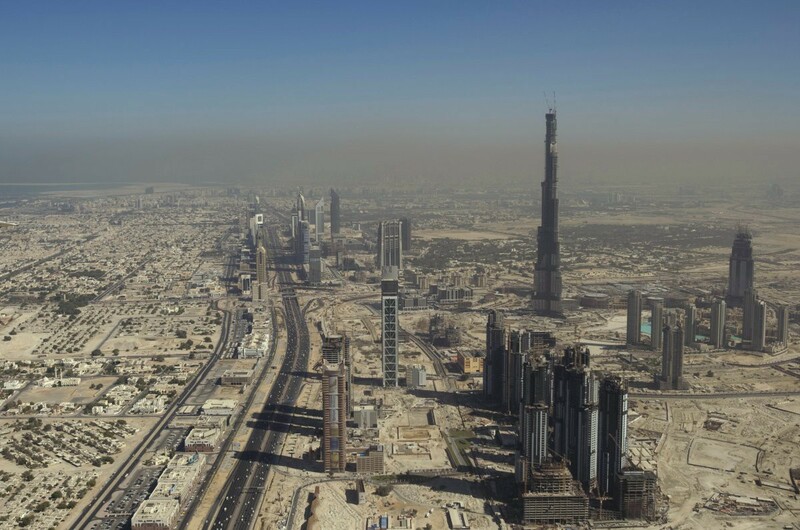 The central place among the rapidly growing urban landscape of skyscrapers in Dubai covers the Burj Khalifa, the tallest building in the world. 23. This gleaming tower 828 meters. Such a view opens from the observation deck on the 124th floor, 36 floors above the still. 24. 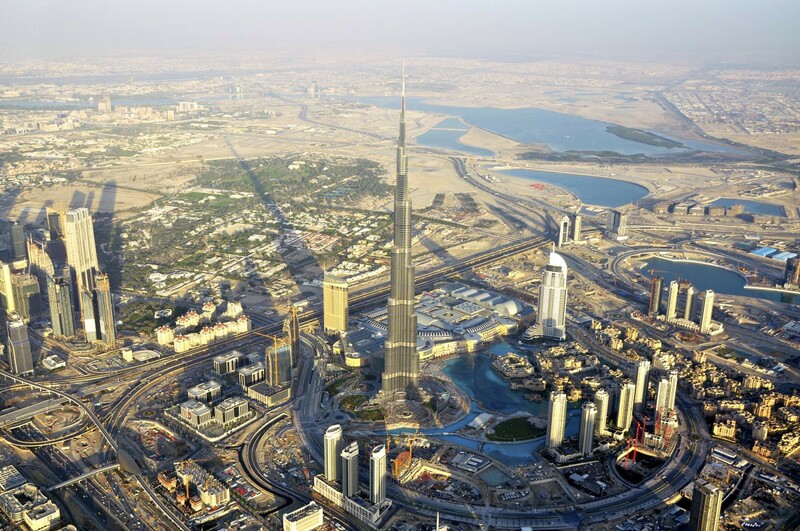 The tower was built in just 1325 days. Above it worked of 12 000 workers. 25. 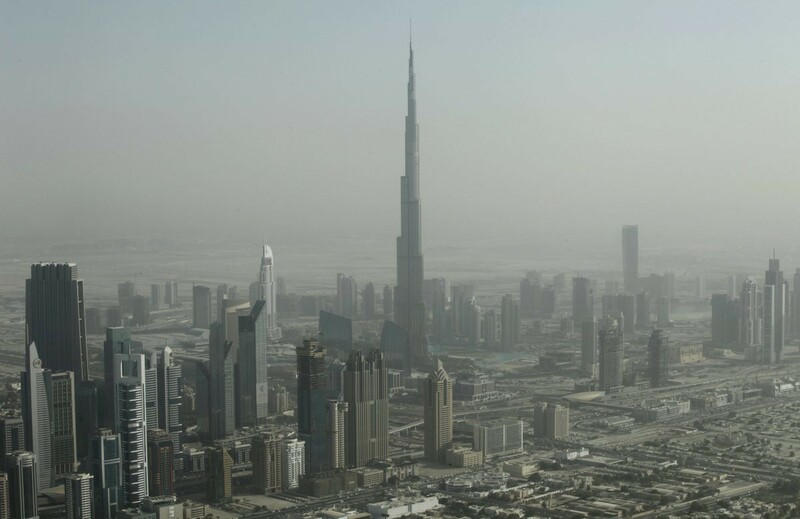 Burj Khalifa opened in 2010. Originally called the Burj Dubai skyscraper. For its construction were used 31,400 tons of reinforcing steel.